as well as kitchen facilities, a communal reception area and access to a free meeting / training room. Additionally all the offices are Secure, being individually alarmed and monitored 24*7 with 24 hour access and there is also communal off road parking. We also provide Virtual Office facilities that can include a postal address, telephone redirection or answering services. High quality, fully managed and serviced offices to help keep your business running smoothly, at an affordable price. Become part of the business community with virtual offices that have a range of additional services including access to meeting rooms. Why should you choose our offices? 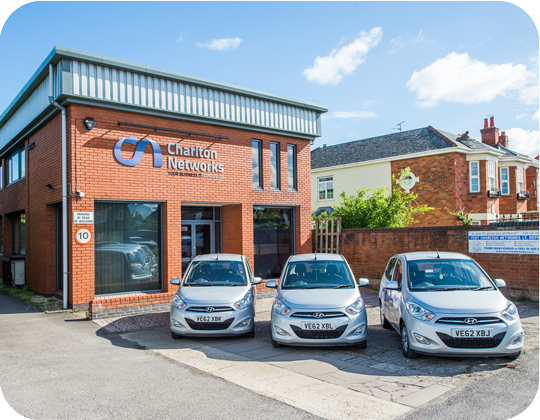 Charlton Networks, the local IT Support experts. meeting space, training rooms, parking all included. part of the business community network. We are walking distance from the historic market town of Tewkesbury, driving distance from M5 J9. Canterbury Business Centre is based in Tewkesbury, Gloucestershire. The Centre offers a number of fully managed offices conveniently situated on the Ashchurch Road, only ½ mile from the M5’s Junction 9. The location and facilities make the Canterbury Business Centre the ideal solution for small businesses who are seeking permanent, accessible office space that is fully managed yet cost-effective.